Pokemon Go encourages better mental and physical health. Source: Pixabay. Queensland academic, Dr Lee Kannis-Dymand said the recently released mobile app Pokemon Go may work as a positive catalyst for people experiencing anxiety and depression. Released in July of this year, Pokemon Go has already reached 100 million downloads and received wide praise from users after they felt improvements in mental and physical health. Developed by Niantic, Pokemon Go is a free location-based mobile application that encourages users to move to certain locations to catch, battle and trade Pokemon. 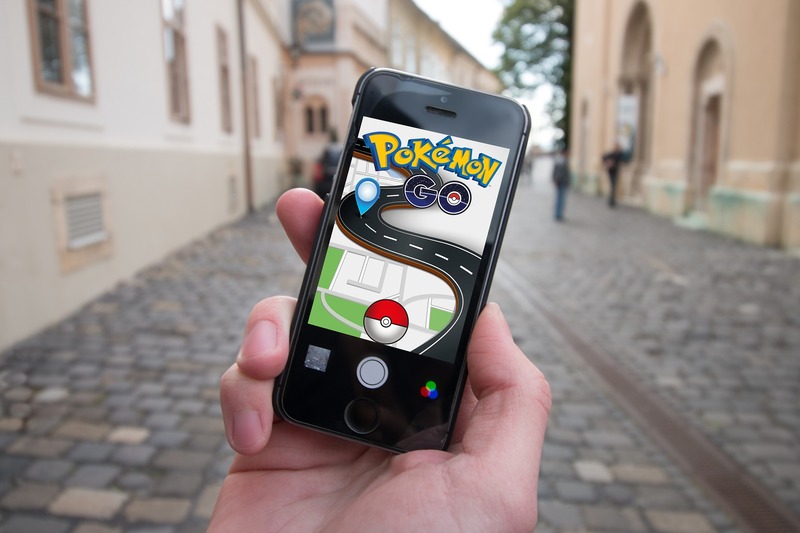 A clinical psychologist and teacher at University of the Sunshine Coast, Dr Kannis-Dymand believes augmented reality games like Pokemon Go may improve mental health as it motivates players to exercise and get outside. “Anything that gets people social and keeps them from being isolated at home is particularly beneficial to mental health”, Dr Kannis-Dymand said. 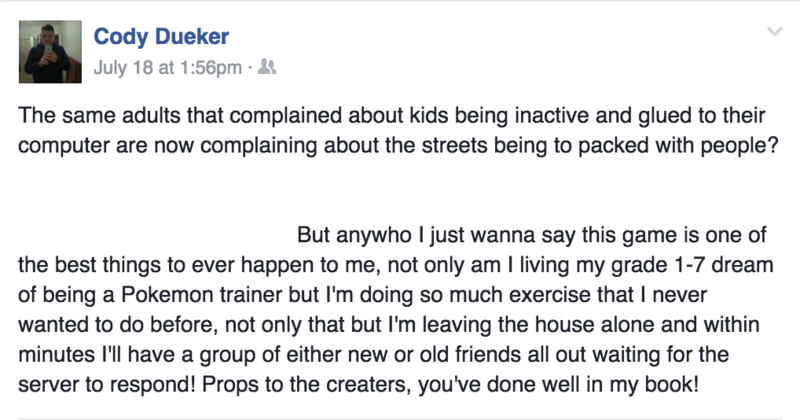 Players take to social media to attest to the benefits of Pokemon Go. Source: Facebook. Pokemon Go player, Aaron Jackson said he has noticed large improvements to his mental health since he began using the application. “Suffering from social anxiety can be hard, as sometimes I don’t feel comfortable leaving the house in fear of talking to people I don’t know,” Mr Jackson said. Jeremy Di Re is an organiser of the Brisbane Pokemon Go Social Club and believes the game helps to distract smart phone users from online negativity. “Beyond the obvious health benefits of increased exercise, the game is a really welcome distraction to the serious nature of modern life,” he said. The Brisbane Pokemon Go Social Club’s second bar crawl will be held in Fortitude Valley on August 27.